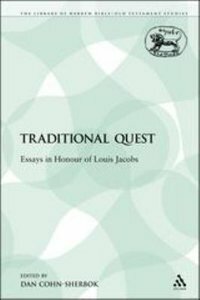 Louis Jacobs has made a formidable contribution to Jewish scholarship over the last 40 years. In addition he has inspired a generation of students of Judaica as well as members of his own congregation at the New London Synagogue. The contributors to this volume in his honour include a wide range of distinguished scholars. Beginning with Jacob Neusner's essay on the transformation of the Dual Torah in the first four centuries CE, the volume ranges over a variety of topics in the field of Bible, Talmud, history and theology, mirroring the wide range of Louis Jacobs' own interests. In addition, a full bibliography of Louis Jacobs' publications is included. About "Traditional Quest (Library Of Hebrew Bible/old Testament Studies Series)"